Stereo Explosion is a Swedish band based in Malmoe. The band consists of Jens Andersson, Jepson and Martin Axén and they all previously played in one of the most successful bands in Sweden, the Ark. 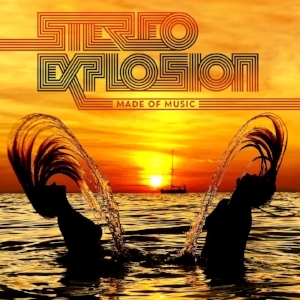 Stereo Explosion finds inspiration in disco music, both in the classic 70's and 80's disco, featured by Moroder and Bee Gees, but also in today's modern electronic sound with artists like Justice, Hot Chip, LCD Soundsystem and Empire of the Sun. After the singles A Better Place, Outta Here and Good News, Stereo Explosion will be releasing the debut album, Made Of Music, on the 4th of May.